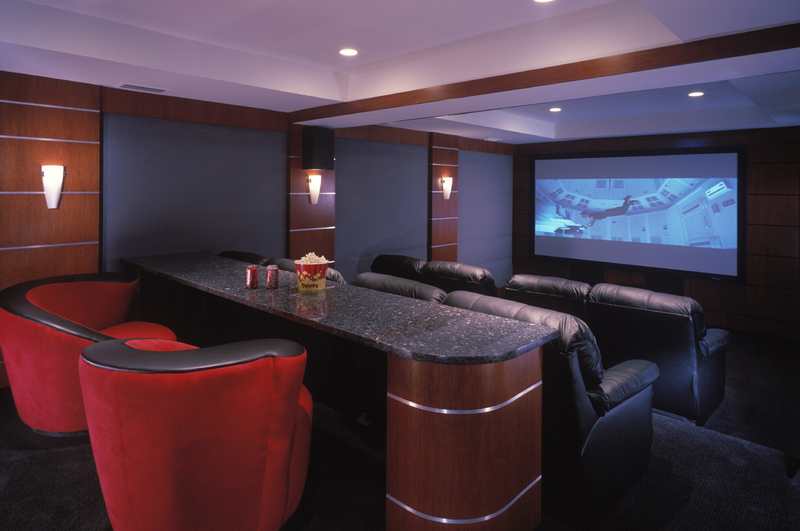 We build the most incredible home theaters, but we also love sharing when we find beautiful examples. Take a look at this classy home theater. The only thing we might change would be a fiber optic ceiling. Take a peek at our ceiling examples and call us to find out more. The past week has been a good one for fun home theaters. First we had the Frodo one, and now there is this one in a $3.3 million Ostego, Michigan equestrian estate. There isn’t one thing that makes it so great, but rather a multitude of them. For instance, the enormous ceiling insignia that looks like a door to a secret experimentation lab in the X-Men mansion. Also, the wall mural. And the columns, of course. Our favorite thing, though, might just be that three-link velvet rope. And it all just comes together into one classy package. For some reason, we feel like the only movie you’re allowed to watch in here is Spartacus or something like that.